We are celebrating 100 amazing episodes of T1000 Radio this week! Over the course of the last 2 years we have tirelessly curated the very latest in house & techno for our ever-growing global audience week in week out. Although we have grown from a single producer/presenter to a team of 7, our passion for quality underground electronic music remains stronger than ever! A stellar line up of international guests on our show is testament to the calibre of music we showcase every week. In celebration of this milestone, we’ll be presenting a live back to back session from T1000 Events creator Damian Gelle aka Montana and host Mark Gilmour as well as hosts Eddy Wells, Neil Smith, Steve Marx and Wildfox from 8PM this Friday. The whole T1000 crew will be kicking on at the Bunk3r afterwards, with all hosts gracing the decks at the Compass event! Massive thanks to Bondi Beach Radio for supporting us, as well as a list of internationals that have honoured us with performances on the show including: Erick Morillo, Dubfire, Sasha, Monika Kruse, Pan-Pot, Noir, Christian Smith, Joris Voorn, Edu Imbernon, Wehbba (twice! 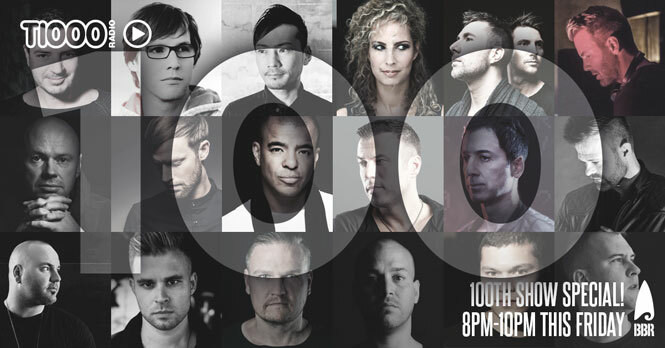 ), Jeremy Olander, Jay Lumen, Carlo Lio, Arjun Vagale, Alex Niggeman, Oliver Schories, Dave Seaman, Jon Rundell, Prok & Fitch, Weiss, Manuel De La Mare, Miguel Bastida, SUDO, Florian Kruse, David Herrero, Cristian Varela, Hollen, Dosem, Jaceo, Technasia, D.Ramirez, Heath Holme, Cut Snake, Kolsch, Ninetoes, Tiger Stripes, Oscar L, Filterheadz, Dale Howard, Alberto Ruiz, Ron Costa, D-UNITY, Carlo Ruetz, Wigbert, AFFKT, Stefanie Raschke, Betoko, Khen and Drunken Kong. And a big thanks to our locals too, including (in alphabetical order): Ben Nott, Bodywork, Chien d’Ours, Friday Records, Human Movement, Kaiser Waldon, Mark Craven, Matt Meler, Monika Ross, Tech No More, Nick Reverse, Nineone, Robbie Lowe, Summit DJs, Tristan Case, Tyson Bruun. Don’t miss this week’s 100th show special! Tune in here from 8PM-10PM this Friday! For any shows you may have missed, you can check them out on our T1000 Radio Soundcloud. Comments Off on T1000 RADIO’S 100TH SHOW SPECIAL! RICHIE CARRERA JOINS T1000 RADIO TONIGHT!